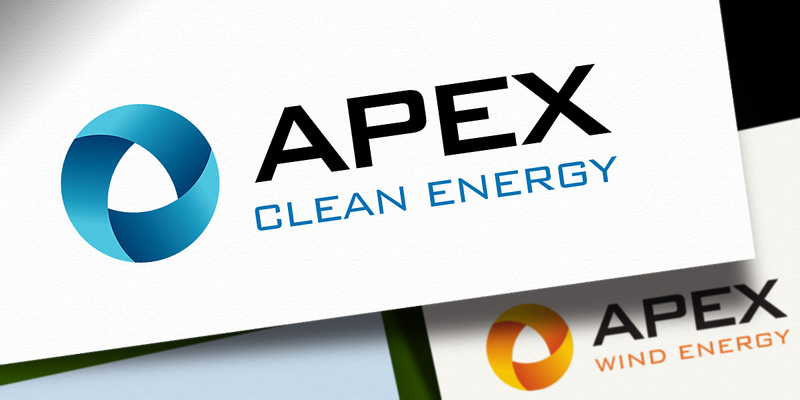 Apex develops wind and solar energy systems for communities all over the country. Their team not only has the technical expertise to deliver the power, but also the legal and financial smarts to make large-scale projects actually happen. Their mark brings to mind a Möbius strip and emphasizes the renewable in renewable/sustainable energy.